As more organisations become data driven the importance of informed decision making becomes more apparent. 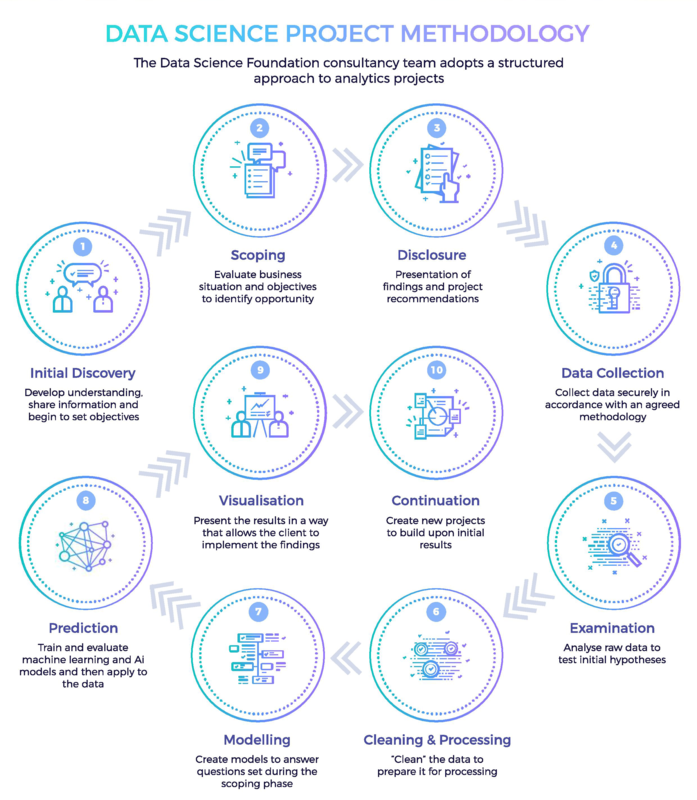 The Data Science Foundation Consultancy Service will help you begin your journey and will support you through the challenges ahead. It has become apparent over recent months that the competitiveness and increased profits of the early adopters in the data driven revolution is not down to chance. As advances are made in various sectors, all business leaders are beginning to take note. Recently the NHS has announced, as noted on the BBC and Financial Times, that a machine learning artificial intelligence tool is quicker, less expensive and as good as the best human expert at detecting 50 types of eye problems and referring patients to experts for treatment. This in the same month that Marks and Spencer announced that the company will put data at the heart of its operations and invest in training staff to become data scientists. Large organisations are now realising that, to keep up with new arrivals, they must update their systems and begin to make informed data driven decisions in order to survive. 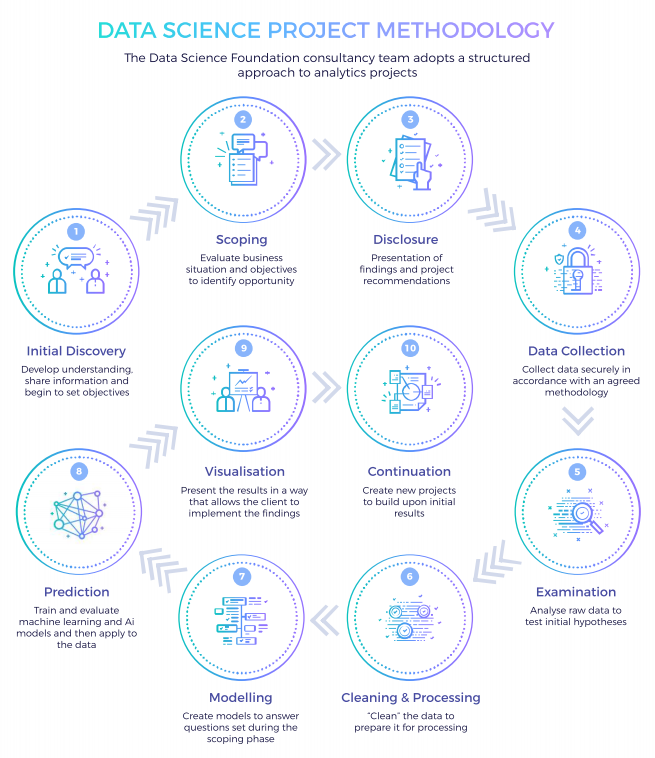 As a trusted name in the data science sector we are well positioned to help organisations find their way in this complex area. From data handling, cleaning and storing to analysing and producing knowledge to feed into the management decision making process, we are here to help. Take the first step to unlocking the value contained in the data your organisation is generating each day by completing the form on the right of this page. We will help you though the process of discovery, evaluation and implementation.